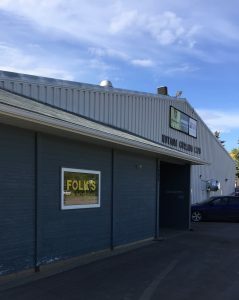 Folk’s Curling Corner Ltd. is located at 2002 Arlington Ave (at the Nutana Curling Club) in Saskatoon. It was established by Dave Folk in 1983 at our original downtown location (2nd Ave & 20th Street). Store hours are 11:00am – 6:00pm Mon thru Fri, 11:00am – 5:00pm Saturday, and closed Sunday and holidays. Please call 1-866-233-7913 for any seasonal changes. Curling has been a way of life for the Folk family for generations. Dave (World Senior Champion 2009) and brother Rick (World Mens Champion 1980 & 1994) are excited to have Lynne Wilson (curling historian and wife to Jim Wilson 1980 World Mens Champion) back again to manage our Saskatoon store. 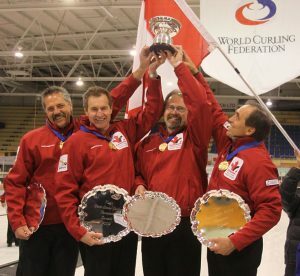 With 35+ years of experience, we continue to attain the largest selection of curling equipment in the World. Superior knowledge in the sport both physically and technically is the cornerstone of our success. Brush heads are now designed for both recreational play (increased durability and effectiveness) and for WCF sanctioned competitions. At Folk’s we offer a complete selection of all brush head styles tailored to suit your needs. We also carry a large selection of curling pants starting at just $55 and now offer overnight hemming services. While shopping at Folk’s you are welcome to watch the live curling action, inquire on lessons/leagues, and also enjoy the amenities (restaurant and lounge) at Nutana Curling Club. Offseason orders available by email (saskatoon@folkscurling.com) or by text (306-222-5472).